We are very proud and excited to announce Alana, our wonderful director, is taking part in the Fred Hollows Foundation Wild Women On Top Coastrek on the Mornington Peninsula in Victoria. Daydream Leisure Furniture is proud to be able to a donate to such a great cause, sponsoring Alana and her team to walk the whopping 30km from Koonya Beach to Point Nepean on the 25th of May. Months of training have taken place for Alana to take part in this fantastic Coastrek event. The Fred Hollows Foundation aims to ensure everyone, whether they are rich or poor, has access to high quality, affordable eye health. During his life time, Fred Hollows, the founder of the foundation a surgeon and humanitarian as well as a mountaineer worked towards ending avoidable blindness in Indigenous Australia and around the world. 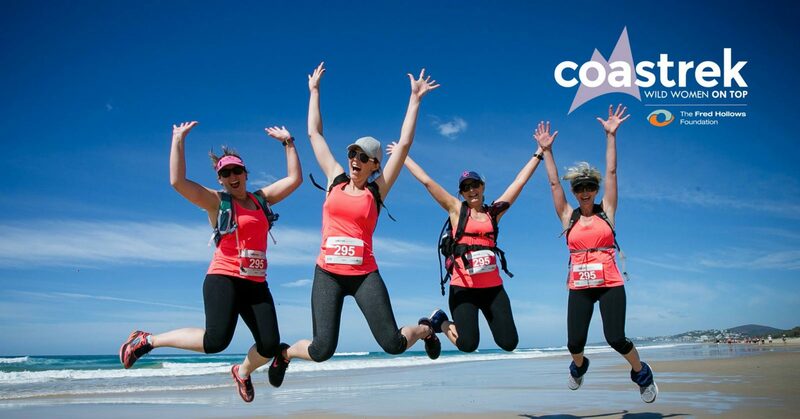 The Wild Women On Top Coastrek is a team trekking challenge with the option of both 30 and 60km which supports the foundation by raising money to help eliminate avoidable blindness by walking along some of Australia’s most beautiful coastlines. Last Year the Melbourne Coastrek 2017 saw over 1,800 trekkers walk along the beautiful Mornington Peninsula coast and raise close to $1.4m to restore sight so we are super excited to be contributing to it this year with hopefully a record amount raised. To date, the $19.3 million dollars raised through Coastrek events have gone restoring sight to tens of thousands blind people in situations where it could have been avoided, a very worthy cause. The money is used to train eye doctors and eye health workers and building many new eye hospitals. Click here to find out more about Coastrek or how you can register . Giving back to the local community is something that is very important to us at Daydream Leisure furniture. We are regularly donating to local and national charities and always endeavour to give back to those who are less fortunate. If you are inspired by what Alana is doing you can get involved too, there is a Coastrek taking place here on the Sunshine Coast in July. Keep an eye out on on the Daydream Leisure Furniture’s Facebook for photos of the stunning views off the rugged Mornington Peninsula Coastline out over the Bass Strait and maybe even some of the Alana and her team along the way!